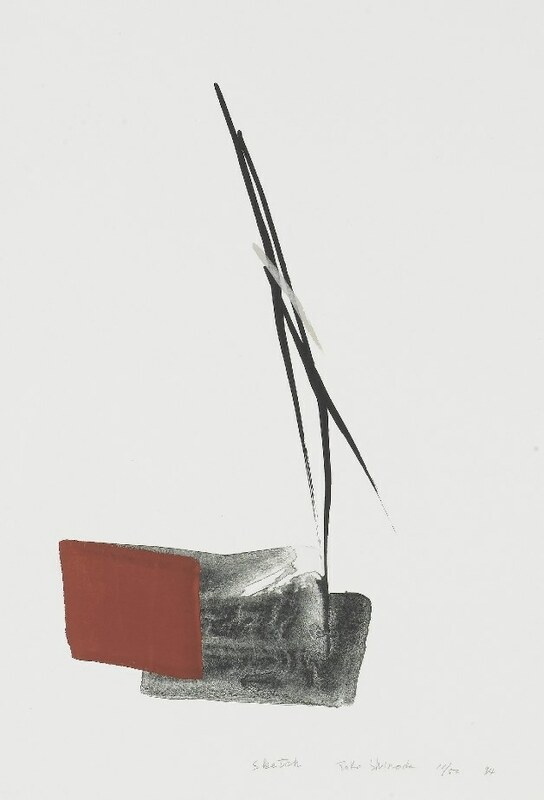 Toko Shinoda’s encounter with lithography dates from 1960, when she created two lithographs using a large printing press on the advice of Arthur L. Flory, an American graphic artist from Philadelphia, who happened to be in Japan. In lithography the artwork is created with a brush, applying sumi ink on a flat stone surface in the same way as painting on paper. Lithography is a printing method that can express as much as possible the spreading and blurring of ink and other brush effects for which Toko is known. Toko’s first etchings were produced in 1999. Etching is a technique of cutting a picture onto the metal surface with a stylus. Ink caught in the etched lines is transferred to paper to produce a print. 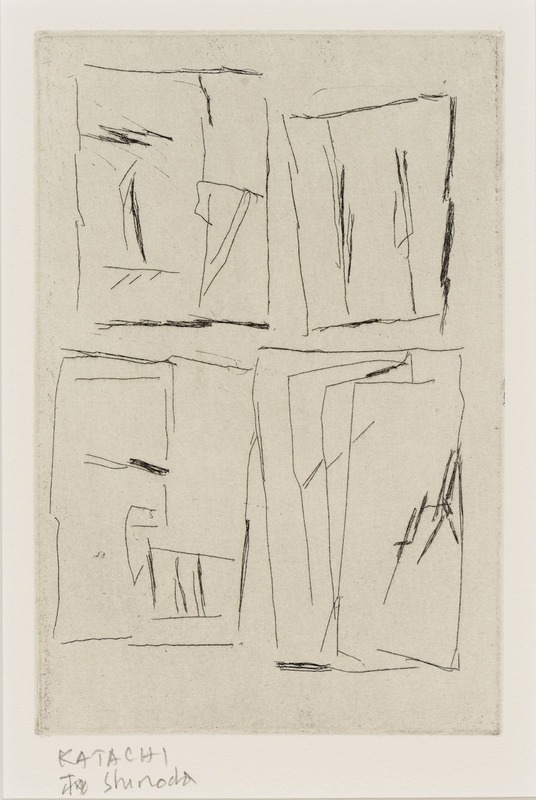 This technique of printing is also well suited to Toko’s art featuring the expression of lines, since there is nothing to restrict the movement of the hands. 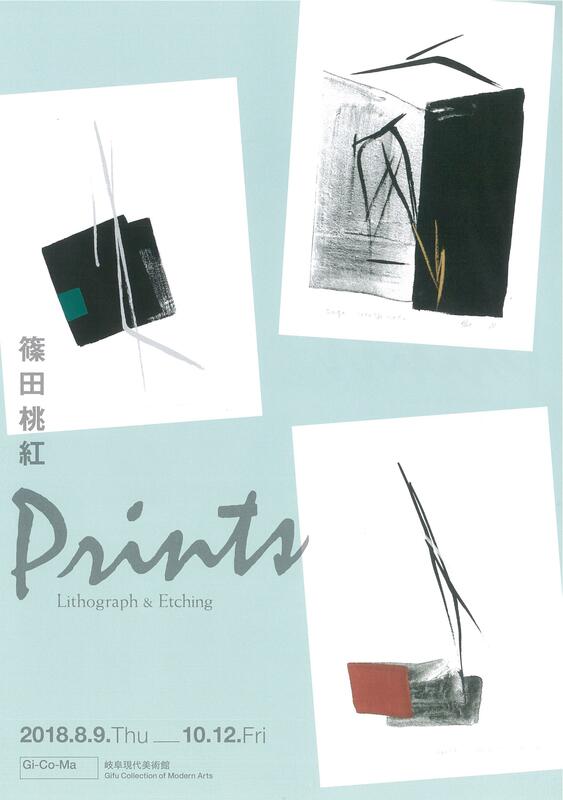 This exhibition presents Toko’s works produced through overprinting, a technique distinctive to lithography, displaying the diverse hues of sumi ink, the contrasts between her lithographs and ink paintings, and the hard and fine-lined expression of her etchings.